Amazon’s artificial intelligence-powered voice assistant, Alexa, is spreading like wildfire and we’re seeing more and more useful Alexa skills roll out every day. It’s in robots, vacuum cleaners, and the thousands of third-party apps that tap Alexa for voice recognition. It’s also starting to make its way onto phones. While voice search features were once limited to a few flagship phones, Amazon recently announced the Alexa app has been updated to bring these features to all Android devices. 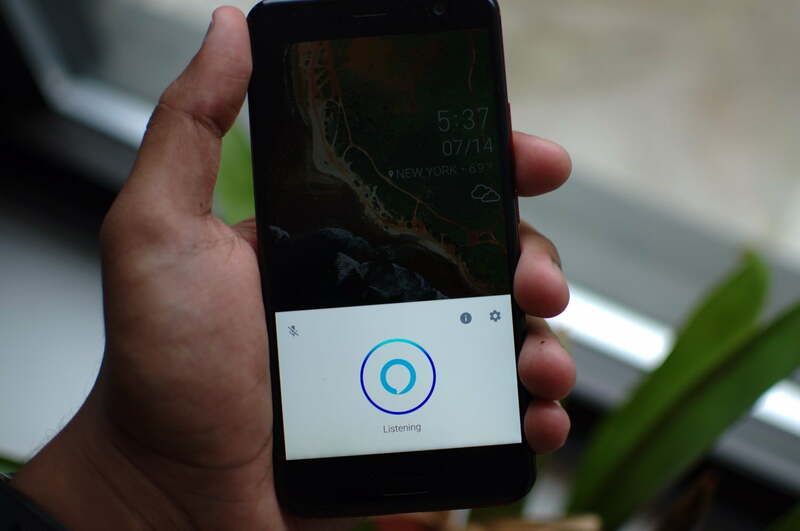 We’re going to start by taking a look at how to use the Alexa app on any smartphone, then on the next page, we’ll dig into the extra steps required to get Alexa working as a voice-controlled assistant on the HTC U11 or Huawei Mate 9 and explain what it can and can’t do. You can personalize the way that Alexa works on all of your supported devices (including the U11 or Mate 9) by installing Amazon’s dedicated Alexa app via the Google Play Store. You can download the app for iPhone as well in the App Store, however, voice search features are not available; Amazon says it plans to add the feature in the near future. Music, video, and books: Sign into the services you want the Alexa app to use, but note that music services currently don’t work on the Huawei Mate 9 and HTC U11. Lists: Here’s where you’ll see items you’ve added (via voice command) to your Amazon shopping and to-do list from the Alexa app. All Skills: Here’s where you can browse, enable, and manage the thousands of third-party apps that extend Alexa’s functionality. See which ones you’ve installed by tapping the My skills button in the top-right corner of the screen. Smart Home: This menu lets you configure smart home devices you can control with the Alexa app, including smart bulbs, TVs, security cameras, and more. Tap Discover to find and set up new devices, and then organize them into Groups and Scenes to suit your tastes. You can also tap the three-line menu icon, and select Settings to review your various Alexa-enabled devices, set names for them, locations, time zones, and even choose your preference for temperature and distance measurement units. While the latest Alexa app update brings voice search capabilities to all Android devices, you still need to press the microphone icon to use the feature. Currently, only the HTC U11, Huawei Mate 9, and Moto X4 allow you to use voice search hands-free. The Mate 9 was the first phone to ship with native Alexa support, but the HTC U11 was first to allow hands-free Alexa commands — you can say, “Alexa,” followed by a command even when the phone’s screen is off. In many ways, Alexa on the Mate 9 and U11 behaves just like Alexa on Amazon’s Echo speakers, but the apps can’t do everything the retailer’s Echo speakers can do. Ready to install Alexa on the HTC U11? Here’s how to get started. First, check to make sure you have the latest system firmware by tapping Settings > System Update (look for 1.13.651.6 or later for the Sprint model and 1.16.617.6 or later for the U.S. unlocked model). First, you’ll need to download the HTC Alexa app from the Play Store. Open the app and enter your Amazon account credentials (or set up an account if you don’t already have one). Accept the prompt to grant the app location access. Then tap Next and Finish. Once you’ve finished setting up the HTC Alexa app, you’re ready to tailor it to your preferences. Tap on the gear icon to tweak things like the default language (German, British English, or American English) current Amazon account, and to configure Alexa’s quick launch options. Sound trigger launches the Alexa app when you say, “Alexa”. You can also tick Enable sound trigger when screen is off to activate Alexa with a voice command even when your phone is locked. Edge Sense allows you to trigger Alexa by squeezing and holding the U11’s lower edges. You can also head to Settings > Edge Sense and set Alexa to trigger with a short squeeze if you prefer. Setting up Alexa on the Mate 9 is a cinch once you have the latest firmware. To check, tap Settings > System Update (you want version MHA-L29C567B183 or newer). 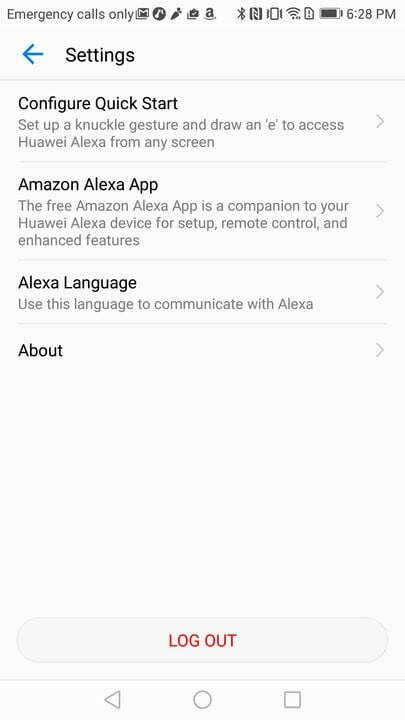 Open the preinstalled Huawei Alexa app and enter your Amazon account credentials (or set up an account if don’t have one). Read and accept the Terms of Service agreement. The Huawei Alexa app doesn’t offer much in the way of customization. 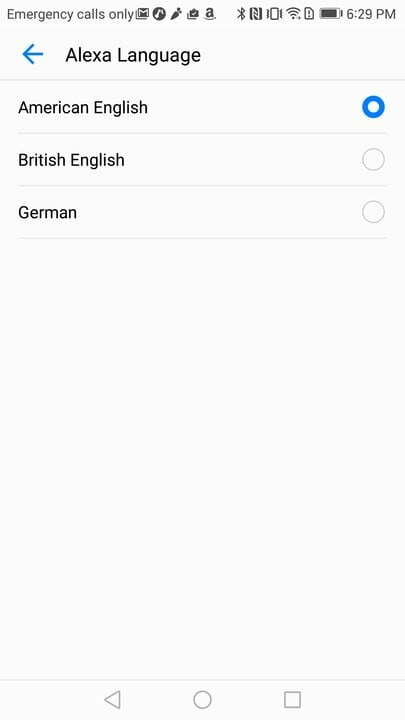 But Quick Start lets you launch Alexa by making a gesture with your knuckle on the Mate 9’s screen, and the language selector lets you switch between one of three supported languages (German, British English, and English). You’ll also see an option to sign in with another Amazon account. Unfortunately, every time you want to use Alexa on the Mate 9, you have to open the Alexa app. Unlike Apple’s Siri on iOS devices, Google Assistant on Android devices, and Alexa on the HTC U11, there isn’t a hands-free way to interact with Amazon’s assistant on Huawei’s phone — you have to open the app and tap on the bright blue microphone icon before you begin talking every time. In many ways, Alexa on the Mate 9 and HTC U11 feels like a natural extension of Amazon’s assistant. The Alexa app can tell the time in any country, deliver a weather report, or provide a daily sports and news summary from NPR, CNN, the Associated Press, and more. The Alexa app is fully compatible with Amazon’s Kindle and Audible services. If you ask it, “Alexa, read my Kindle book,” you’ll hear an audiobook recording (or text-to-speech transcription) of the most recent addition to your Amazon library. Asking, “Alexa, read my audiobook” prompts the assistant to start or resume any audiobook you’ve purchased from Audible. And you can, as you might expect, play different titles, skip and restart chapters, or go back to specific chapters. Alexa is tightly integrated with Amazon’s shopping platform. You can place an order for anything on Amazon Prime, including Amazon Fresh groceries, Amazon Prime Pantry non-perishables, and Amazon Prime Now 2-hour delivery items. You can say, “Alexa where’s my stuff?” to get tracking information on packages, and take advantage of the Alexa-exclusive deals that run throughout the year. With the Alexa app, you get access to Amazon’s collection of skills, or apps, that tap the assistant’s voice recognition. Particularly useful ones include the My Chef app, which can read recipes, send shopping lists, and track expiration dates. Uber and Lyft’s apps can summon rides to your approximate location; Fitbit’s app can tell you how many steps you’ve taken; the Capital One app details your bank balance; and apps from Dominos, Pizza Hut, and Grubhub allow you to get food delivered. 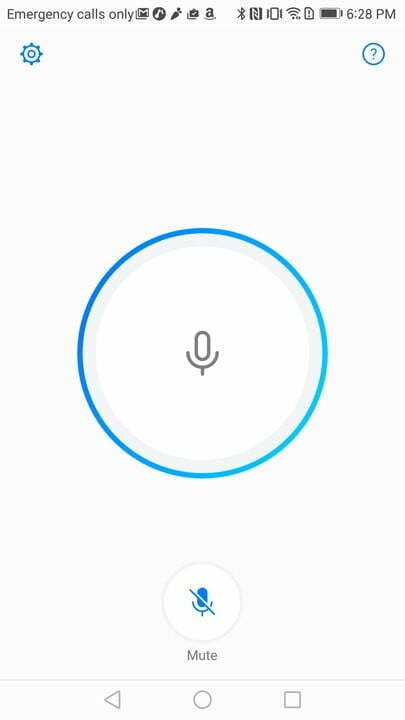 Update: Story updated to reflect new voice search feature in Android app.